Loudness 4 Years On. Has Loudness Compliance Worked Or Caused More Problems Than It Has Solved? We have asked a hand-picked group of practitioners to air their thoughts on how the loudness workflows have impacted their workflows, to share what has worked, what hasn’t and what we need to do moving forward to resolve what isn’t working. The concept of loudness regulations is far older for me than a lot of TV post sound engineers, as I’ve been working with LEQ(m) for short-form Cinema Trailers and Commercials for the past eighteen years. This was policed by the people who produced the sound masters for theatrical release – the Dolby mastering facilities used to marry the print to the sound. Institution) worked together to solve what was deemed to be the problem, the short-form content that usually precedes the main feature. The issue was that the Trailers and Commercials were so loud that projectionists were turning down the volume then forgetting to return it to the normal level for the main feature, which was prompting complaints from both the audience about intelligibility and the advertisers about not presenting their commercials properly. We can see already parallels between the adverts and trailer in the cinema and where we were on TV broadcasts pre-loudness regulation, with two differences. On TV the commercials and trailers are within the long-form content (commercial breaks) and in Cinema land, they decided to only police the short-form content and not the long-form main feature. This was because at the time, measuring and management tools that were suitable for long-form simply didn’t exist, as very little mixing was being done entirely “in the box”. When R128 was first proposed, I felt dread to be honest. At the time I felt that we still didn’t have the technology to properly meter and adjust the loudness on long-form and I was still feeling the side effects of having to meet the torturous -27 Dialnorm LEQ(a) standard commonly used by US distributors at the time. Four years on and I’m actually very comfortable with R128. When you use tools like Nugen Vis-LM or Signum Audio Bute (Analyser or Suite) life becomes far easier, both on short and long-form. 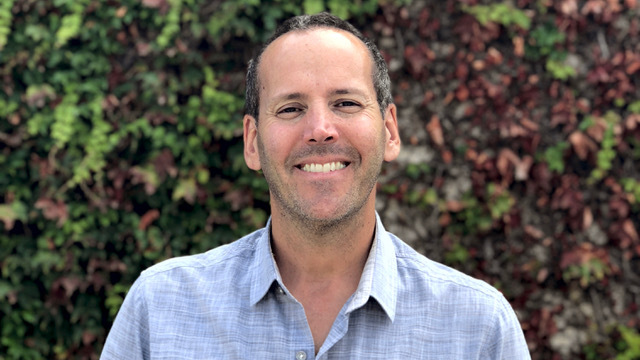 Client attitude has been relatively easy as well – once you convince them that this gives long-form a far more level playing field against commercials and interstitials and allows us to give moments of impact, more impact, they are generally happy. For short-form producers, they are happy that they’re not being unfairly treated in comparison to long-form. I find meeting a loudness spec rather compared to the old a peak level spec gives me a lot more creative freedom. In long-form I’m able to exploit the dynamic range available, though you do have to keep an eye on the Loudness Range and I’ve found that it is better for intelligibility to not let dialogue get too dynamic, as this can lead to issues. In short-form, I’m benefitting by the sounds - dialogue, music and effects not being crushed because the client insisted that we slam it all into a brick wall limiter. It’s not just in TV where loudness regulations are helping. With online and streaming, the recent AES recommendations and setting of standards by YouTube, Spotify and Apple among others, are all very welcome as they really level the playing field for online content, which was bandit country for a few years. I’ve found that the AES Streaming standard is very compatible with the LEQ(m) 85 standard for film trailers, making the online versions of these mixes far easier. I am not a fan of using normalising tools to make “one mix suit all” automatically. I’ve had several mixes come back to me where the client has tried to adapt say a TV mix for online, or vice-versa. Normalising tools never give as good a result as actually mixing your way to being in spec. With the different loudness specs come different demands on dynamic range and dialogue clarity against music and FX. An automated system, even with a high amount of AI, can never, in my opinion, match a talented, experienced mixer. The next four years though, well, some things are starting to rock the boat a bit. For their “Netflix Originals Delivery Specifications OC-3-1” programming, Netflix has decided to resurrect dialogue gating, as per the old LEQ(a) standard that used to give me the shivers. I don’t know anyone, be it producers, video engineers, sound engineers or indeed loudness tool developers, who think it’ a good idea. It doesn’t make any sense to me – it’s going to be received by the consumer over the same medium as their, “Netflix Licensed Content Delivery Specification 8.1”, so why have a different loudness specification, which in most people’s opinion is much harder to meet, impossible to use normalising tools on and could possibly result in a return to intelligibility issues? [Mike - Wait until next week, we are preparing a detailed study into the new Netflix specs]. Having talked a lot about the technical aspects, I now come to the most important part. A good mix always starts with a good edit. The hardest battle, especially in short-form, has been getting picture editors to adapt their editing style and to get directors to take this on board, to give us the opportunity to bring light and shade to a mix. The mix can only follow the pictures. When the mix starts going in a different direction, you most often end up with a disjointed piece that only a few consumers understand. Achieving good results under loudness regulations is a team game. No one part of the post-production process has the magic bullet. I first learned of the existence of something called an LM100 in 2005. It was during the early seasons of mixing Deadliest Catch. At that point, I had always used a traditional VU meter and tried to keep things around 0 VU. It was the way I’d always worked since I started mixing in the 80s. I was informed that I’d now need to mix all of my shows to a new standard of -27 something-or-other with a +/- 2dB tolerance. I didn’t make much of it until I was told, “Yes, this is real and we’re going to have to conform to this new standard”. Ok, so I’m thinking that 0 VU = -20 dBFS so I would now need to simply drop everything by a mere 7dB! But it wasn't as simple as that as it was the dialogue that had to be 7dB lower. But actually, that wasn’t entirely it either. This all had something to do with how loud the listener-perceived the dialogue to be. That’s when it became necessary for me to start pre-dubbing my dialogue. Remember The Pro Tools Phasescope? Before I had a physical LM100 I’d pre-dub dialogue using the old Pro Tools Phasescope. Since the LM100’s algorithm was based on LeqA measurement and the Phasescope also had an LeqA meter it was the only tool I had that could get me close to this new standard. Then the facility where I was working at the time got an actual LM100. It had this thing called Dialogue Intelligence. It didn’t make any of the characters in the show seem smarter but it was able to discern the difference between the dialogue and everything else. While a lot of my colleagues were grumbling, I just looked at the whole situation as getting additional headroom to play with. I still needed to be careful though. If the viewer set their volume so that dialogue at -27 sounded comfortable, the big scenes could blow them out of their chairs! I increased my monitor volume, got used to what dialogue sounded like at -27 and tried to enjoy the extra headroom. The biggest problem was that certain sounds (like sirens and futzes) would skew the measurement higher. Then things changed again. Most networks settled on -24 LKFS +/- 2. It was nice to have those extra few dBs. However, the measurement based on dialogue had gone, it was now based on the loudness of the full mix. That standard was workable as the networks required a long-term measurement of the entire show. If we had a big battle in act 3, the measurement would usually average out to -24 by the end of the show. Things have changed yet again. Now each act must measure -24 LKFS and some networks have eliminated the +/-2 window as well. As we enter a second Golden “Bitcoin Age” of television, high-end, feature-like programs are being produced in greater numbers thanks to companies like Netflix, Amazon and Hulu. Those producers demand and deserve a dynamic, theatrical mix. As a re-recording mixer, it’s my job to give the client the mix they want. Unfortunately, the responsibility for bringing things back into spec has now fallen on the shoulders of the folks doing the laybacks, which is a less than ideal situation. I look forward to a day when mixers can mix creatively and dynamically without jumping through hoops. As a consumer, I have certainly witnessed the benefits of loudness normalisation when watchingTV via traditional methods such as cable, over the air, and satellite. It is much better to not have to turn up and down the volume, or simply mute it, for commercial breaks. I think an unintended outcome of the loudness workflows, is that dialog levels have been dropping, especially in programs that are closer to feature films in terms of production quality. I have heard more and more people complaining about how hard it is to understand and hear the dialog now. But when they turn up their TVs to hear the dialog, they are soon covering their ears in response to loud music or sound effects. I think one reason for this is the trend of TV shows looking and sounding more like feature films. In the past, there was a much clearer divide between those making TV and those making feature films. In recent years there have been many filmmakers venturing into episodic television content. As a result, there have also been a lot of feature sound teams brought on to work on these programs. In many cases, they are mixing on larger mix stages with more clients attending the mix. As these TV productions have gotten bigger and bigger and approached feature film production size and quality, mixes have become more dynamic. A lot of these mixers are being pushed by their clients to make it sound more like a feature film. The result is that many mixes are created at higher monitoring levels (similar to those of feature films) to compensate. So dialog sits at a lower level, giving the mixers headroom for loud sequences to be much, much louder. While it sounds great on the dub stage, it, unfortunately, doesn’t always translate well to the home. The problem is intensified when switching channels from a low-level, high dynamic show, to a channel showing a high-level, low dynamic show. So the original intent of loudness normalization is lost in this case. I’ve attached two pictures that illustrate this. You can click on both images to see a larger version. Both are printmasters from popular TV shows. Track A is a more theatrical adventure and action show. Track B is a sitcom. You can see how much louder the “normal dialog level” of the sitcom (B) is over the action show (A). In the second picture, track A is just starting a fight sequence. You can see how much more dynamic it is. The track B is the same, but I’ve highlighted an area in yellow because this was described by the characters as a “loud” noise. You can see even being a “loud” noise, it level wasn’t that much greater than the dialog. Not like the loud sections in track A. Unfortunately, loudness normalisation hasn’t solved all our problems. It seems many broadcast chains are still adversely processing the program audio. I think ideally, with everyone adhering to the loudness spec, we could expect our audio to be broadcast as close to the original mix as possible. Unfortunately, somewhere along the broadcast chain, many channels are still heavily altering the mixes with their own normalisation or limiting. There have been countless times where I’ve heard mixers defending a program’s sound quality by saying, “You’ve got to watch it online or check it out on your streaming device.” The online streaming outlets generally leave audio as close to the original as possible. I’ve done comparisons by recording the output of my streaming device and compared it to the printmaster delivered from the mix stage. It wasn’t a perfect match if you are looking at how the waveforms visually line up, but they sound practically identical. Some streaming outlets still show ads, and those ads are all over the place, in terms of loudness. While the streaming provider might deliver cleaner program audio, some still have issues with their ad breaks. Streaming providers deliver ads in a completely different way compared to traditional broadcasters. Intentionally or not, it seems the streaming outlets still seem to suffer from their commercial audio levels being all over the map. I worked at a studio that mixed tons of commercials and promos for broadcast television. When we were required to start mixing to loudness specs there was some pushback from a proportion of the mixers. With anything in life, some people are more open to change than others. Initially, there were basically two approaches. Some decided to continue mixing the way they always had and then measuring the spot when they had finished. Once they knew much they were off by, they would simply adjust the gain on the final master to hit the spec. Whilst this worked and hardly changed their workflow at all, it wasn’t the ideal way to work. Others decided to follow suggested practices, specifically calibrating our rooms to the same level and monitoring with a loudness meter during the mix. Over the years of clients with demanding the spots be louder and louder, spots were just getting crunched and this had also worked its way into our templates. Generally, we found ourselves drastically decreasing the amount of limiting in our mixes. To compensate for some for the loudness difference, our listening levels went up. In turn, our mixes opened up and we could have more dynamics. Of course, we weren’t mixing symphonies, these were ads. The key was that we still wanted everything to be heard easily and the ad to be well balanced. Our message still had to get across to a viewer who was probably not paying much attention. But instead of relying on limiting it to death, we were achieving this clarity in a much better quality mix. That said, it would have been easy to take it too far and make the ads and promos that are too dynamic. But the loudness specs did give us some give some leeway to go a little louder or little softer depending on the needs of the spot. Early into this new method of working, I ran a blind test with some coworkers. I took a mix finished of a spot that was done the old way, with a lot of limiting. I then took that file, measured it and turned it down until it was in spec. Then I did a remix, with the biggest change being less compression and limiting. With some slight adjustments to EQ and levels to get the mixes close, I mixed it to the same loudness. I took those two mixes and showed many people in the company, listening on a range of devices, inside and outside of studios. Unanimously, everyone preferred the newer mix, stating it more enjoyable to listen to. My professional career in audio started in 1992. At that time, the television broadcast industry was still broadcasting in analog. Digital broadcast was still a few years away. I started out in television production, live broadcast, and live to tape sound mixing. We used VU meters to measure our output levels and typically measured 0VU +/-3dB. Loudness, as it was perceived, was not even an issue at that point. Dolby Dialnorm was around, but for the show, I worked on, it wasn’t a necessary spec. Then, a few years later, digital delivery became the norm and that changed everything. Delivery specs changed to a dBFS value. Typically -10dBFS peak. 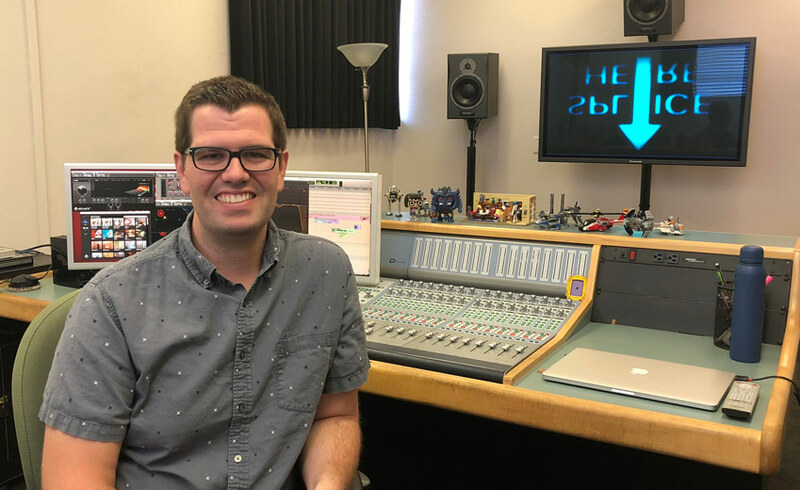 What changed as a result of moving to digital started the whole loudness wars as we know them to be and eventually transpired into the creation of loudness rules for television broadcast deliverables. I’m not going to get into the technical details of LKFS, LUFS, or EBU R128. Rather, I’m going to talk about how these technical restrictions changed the playing field as a Recording Engineer and Re-Recording Mixer whose career has spanned that genres of commercials, promos, radio, live TV broadcast, and episodic television mixing. During the late 90’s and into the 2000’s, everything started getting louder. Commercials were competing with each other. Network Promos were competing with each other. Broadcast film trailers were competing with each other. For short form material, there wasn’t much mixing going on. Everything ended up hitting a brick wall limiter, like a Waves L2, with the threshold lowered to increase loudness without increasing output dBFS. This became the general rule of thumb. As long as you can make it loud without sounding horrible, it was good to go. The TC Electronic Finalizer was also a commonly used device to make your stereo mixes louder without going over the -10 limit. As a mixer, my ears started to get used to this sound and it was impeding on my mixing skills. I used to work for a client that said in almost every review, they just want everything louder. Eventually, I just gave up creating artistic mixes. There really wasn’t any point since it all got smashed in the end anyway. Therefore, I spent the better part of the early 2000’s just making things as loud as I could, without hearing digital distortion. This became my primary goal, at least for short form work. For long-form, things were different. We had more freedom and some flexibility. Using the Dolby LM100 to measure broadcast loudness for dialog. It was nice to be able to flex my mixing creativity now and again. The problem was my ears and brain were going crazy at this point. My ears didn’t know which levels to listen to. I was constantly adjusting my control room monitoring to adjust between shows and commercials. It was absolute chaos and quite exhausting as a mixer. I soon realised with this new spec I had gained some freedom back. I didn’t have to compete with loudness, only quality. I could finally explain to a client that I actually had a limit to how loud I could go although they didn’t take too kindly to that. As a mixer, it was like I could finally spread my wings in the short form world. Anchor the dialog and mix my music and effects to taste. I was really enjoying this new CALM act. It really did calm things down. As for my long-form work, I noticed networks changing their delivery specs to the same -24 LKFS. There wasn’t much adjusting to do on that end but it certainly evened things out. I no longer had to keep adjusting my monitoring levels. I could keep it at 79 or 82 depending on the room. I could mix a show and then jump on some commercials and not have to change mental gears. After six years with the CALM Act in place, it seems everybody has adjusted with the exception of the internet. Now, the loudness wars are slowly rearing their ugly head again with YouTube and other streaming websites. In addition, we now have mobile devices and earbuds to contend with and as a result, I’m now checking mixes on Apple earbuds for clients. Some streaming services are making up their own specs which seem to be going backwards in terms of keeping things audible on these devices. I’m not sure where the industry is going to go in terms of loudness specs, but I hope that the folks who are making the decisions are asking the mixers and recording engineers for their opinions on the matter. After all, we’re the ones that have to deal with these specs and field the phone calls from clients when things don’t sound good on their devices. I like having some mixing freedom and I’d like it to stay that way moving forward. I joined the audio post-production industry as my second career - I’m a former musician - so, I have never really worked without loudness standards. However, for me, there are a few circumstances where they create challenging boundaries, but for the most part, I think the loudness standards have succeeded in helping to create a shared frame of reference across different mediums. For longer form work, I like to keep an eye on the LUFS as I mix the dialog. This becomes my anchor element, and from here I can use my intuition to mix the rest of the soundtrack. I don’t really check in with the overall LUFS again until near the end of a mix. I really want to spend a lot of time in the creative phase of a mix. I try to use monitoring loudness as a tool to set-up a nice canvas, and then as a final check at the end. If I’ve set up a good anchor in the dialog, the rest of the mix rarely strays too far from the LUFS of the dialog (with long-form, dialog centred work). This also gives me a good frame of reference when adjusting the overall level. At the end of the project, I typically trim the entire mix a dB or so to fit a target spec. Without first knowing the LUFS of the dialog stem it would be easy to let loud sound effects and music push the dialog down too far. The Avid Pro Limiter Loudness Analyzer (AudioSuite) is probably my most used plug-in. On spots with a super fast turn around, I set the rough levels of almost everything with the loudness meter before I ever do a mix pass. Particularly with dialog and music. It can get a project off the ground in a short amount of time. What To Do With Web-Based Content? When it comes to the web, my preference is the AES maximum recommendation of -16 LUFS integrated, with a -1 peak. Some content providers are still pushing levels louder, but I really feel that we’re doing a disservice to creators by narrowing the dynamic range. I hope in the future we will see more cooperation in this area. The big video providers around the web are already starting to do this on their own, but we’re still seeing the effects of the loudness wars. in my view, -16 LUFS with a -1 dBTP peak provides a good balance of dynamic range while also giving the listener enough volume on small devices. In Germany, R128 was introduced in August 2012, so we have had 6 years of experience. I personally think that the introduction was a huge pain, but now R128 actually works quite well. During the transition phase, I grabbed some audio off the DVB-C streams on my Mac running Eye TV and found that levels were all over the place. Sometimes a trailer or commercial just did not comply to -23 LUFS but met the new -1dB true peak value. Shows mixed to old and new standards were broadcast without level offsets, resulting in even higher level jumps than before the transition period started. Fortunately, consumers were still used to that kind of problem in 2012. Fast forward to 2018 and I must say that R128 has been mostly a success story. Today I have the feeling that I hardly need to reach for my remote control as a consumer, R128 mainly works as planned now that everyone has to deliver to the specs. The one aspect that could use improvement from my point of view is that mainly speech-based programmes such as news and political discussions tend to be a slightly too loud compared to shows that contain music, films, comedy or drama productions that have, and need slightly more dynamic range. We could consider technical solutions that monitor the dialog stem levels separately but that would add a layer of complexity that I doubt most in the industry would have a willingness to deal with. Maybe a more practical approach would be to just broadcast news/political discussions at -1 LU instead of 0 LU. I don’t follow the U.K.’s political talk shows very closely but if I take Germany’s programmes of that genre as a rough guide, I sometimes wonder if minus infinite LU would be a more appropriate solution, but that’s another topic. While R128 has mainly solved the problem of loudness offsets between commercials, trailers and long-form programmes, it has not solved the problem of dynamic range. A good TV/streaming mix takes the maximum and minimum possible level in a normal living room into account and uses this rather small dynamic range as a challenging framework in which to still produce an interesting mix. From my point of view, it’s important to understand that a mix needs to be produced for a typical listening environment. Theatrical mixes need a large room with a sound system that can produce a lot of SPL whilst also having a reasonable acoustic isolation to the outside world. Shows that are mixed for streaming or TV need to sound good in a living room at a level that does not compromise your relationship with your neighbour. If I look back at the shows I have mixed during the last six years, I think that maybe I personally started to mix dialog levels a bit too dynamically for TV in the early days of R128. One more thing: We all use and love different tools to produce mixes to R128 specs and they all work well. Pro Tools Expert has covered these in various articles. I personally love the idea of metering as part of the DAW. Nuendo offers various real-time and offline solutions with the loudness track, the huge meter and the ability to measure files offline and render (mixdown) normalised to R128. This could be a nice source of inspiration for Avid to consider. No one would argue that Loudness regulations were introduced without good intention, and for many forms of TV programmes, it works perfectly well. However, it is less than ideal and more difficult to implement successfully in the field of light entertainment, particularly if it’s live, as it is difficult to predict how an audience will react. The audio energy of audience reaction hugely influences the Integrated Loudness figure for a TV show, and just the difference between a good audience/funny show and a bad audience/not so good show makes it difficult to get right, especially with the now even tighter Loudness target we have in the UK DPP unified delivery spec. I would also point out that you can have a good show and a naff audience. As I sometimes say, it’s just how they get off the coach! Years ago I did many, many Blind Date shows with Cilla Black on UK television. We recorded shows on Tuesday and Wednesday nights. The excellent Ted Robbins did pretty much the same warm-up routine both nights, but I clearly remember that a show we had with nothing special content wise made the audience laugh like drains, while what seemed to be a very strong show on the Wednesday got a very average reaction. That’s just how it can be. This means that a desk setup that gave you a loudness figure near -23 one night, won’t necessarily do so the next. My biggest issue with loudness, and this opinion hasn’t changed in four years, is that there should be a higher allowance for light entertainment shows. Think of your -23LUFS as a bank of energy for you to use. The energy of audience reaction uses up that allowance, and if you want to retain the correct balance between presenters talking, and 600 audience going nuts, the latter have to be louder, otherwise, it just sounds held back. This means that your chat levels, in absolute terms, have to be quieter than they are for a non-audience show. That’s around 3-4dB quieter on a BBC PPM. The result of this is that if, say, Graham Norton follows a David Attenborough documentary, Graham's dialog level delivering to a big audience with performance energy will be quieter than the soothing, whispering tones of David Attenborough's commentary. That’s just wrong. Bonkers. Another tricky scenario that I have encountered was with a live show that ended with a five-minute game where someone plucked from the audience could end up winning £50,000! If you were on track loudness-wise at the beginning of this section, if the person won and the audience went nuts, you’d go over, if they didn’t you probably ended up under. It was at the end of the show, so you couldn’t pull it back. One of the much-vaunted phrases about mixing to loudness was that you can, “mix using your ears”, but along the way I’ve also heard people (me included) talk of holding back a part to try and make it legal, and I’ve heard of dubbing mixers holding back audience reaction, “…otherwise I can’t make the loudness work”. The answer to that situation is to lower the level of the whole show and not mess up the chat/audience balance, but then you’re back to that lower chat level, but I’d rather that the internal balance of a show is correct. It’s the lesser of the two evils. Repercussions of holding the audience back include making the show more mono, as more of your audience reaction then arrives as mono spill on the chat personal mics, not to mention making it less atmospheric, which goes against what the producers like and what they heard all the way through the studio and edit process. Before the loudness regulations, skilled mixers made the spoken word loud when it needed to be, and quiet when it needed to be, all within 0-6 on a BBC PPM, but let’s be clear unskilled people could do a bad mix in the old days, just as they can now, but mixing to loudness is certainly not making it “easy” for less-skilled operators. You still need that skill. One of the reasons cited for implementing loudness was because adverts were annoyingly loud, but by the time this happened, certainly here in the U.K., broadcasters were already holding them back, and the programmes were generally well mixed, so it “fixed” an issue that wasn’t there, and in my view, had a detrimental effect on TV programme audio. In fairness, you never hear an over-loud commercial now. We were also told that loudness normalisation would help us realise dynamic range but it’s almost had the opposite effect, where making anything other than a very short-term sound have an impact is actually more difficult. Exacerbating the fact that what should be a loud and exciting show is now held down, we have the various channels’ Presentation voice-overs, which despite frequent protestations, are way too loud, and make the following shows sound quieter still. You might be thinking that I’ve actually just written down my initial thoughts about loudness, and not where we are four years down the line. That’s because, in my view, not a lot has changed over the 4 years, and if anything, people not understanding it, or how to make it work are producing worse audio than we had before. Despite not being a fan of it, I try to mix to Loudness and usually succeed to within 0.2 LUFS or so, but every now and then I get it wrong for the reasons stated above. However, not once have I ever heard back from the broadcaster or presentation suite telling me about it, and I do hear of people completely ignoring it, I guess because with live shows it’s not being enforced. I have, I think reduced the intensity of my audience reaction a little. My recommendations would be that live shows should have 2-3 LUFS more allowance, and maybe return to the plus or minus one which allows more leeway. I’ll finish with a rough quote from my colleague, Andy Wernham, who when asked on a technical Facebook group, what loudness was, said, “It’s where everything that should be loud is quiet, and where everything that should be quiet is loud”. 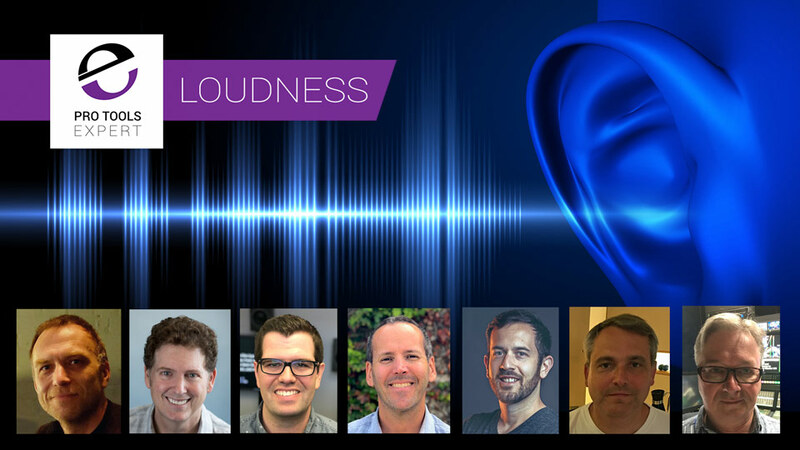 Thank you to all our contributors, Alan Sallabank, Bob Bronow, Dan Smith, Mike Greenberg, Nick Spradlin, Oliver Lucas and Rob Ashard for giving up their spare time to share their thoughts and experiences with the community on the loudness workflows. Next week we will have a considered review of the new Netflix delivery specs and asking "Has Netflix turned the clock back 10 years or is their new Loudness delivery spec a stroke of genius?" Mastering Sounds "Overproduced"? - How Wide Is The Bottom End In Your Mix? PureMix and Brian Lucey Might Have The Answer. Has Netflix Turned The Clock Back 10 Years Or Is Their New Loudness Delivery Spec A Stroke Of Genius? Loudness and Dialog Intelligibility in TV Mixes - What Can We Do About TV Mixes That Are Too Cinematic? Tutorial - In Music Mastering What Is Loudness Range?